Adding images in Visme is simple and easy. You can use images from our free library or upload your own images. 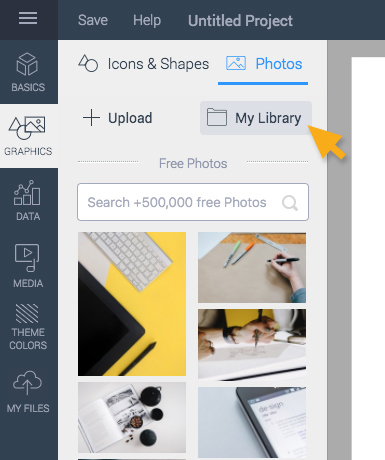 When adding and utilizing free images, you can build a library of your assets in the My Library which allows you to reuse those assets in the future in one or more projects without having to upload them again. This saves you time and resources. – File size limit is 5 Megabytes (5,000 KB). 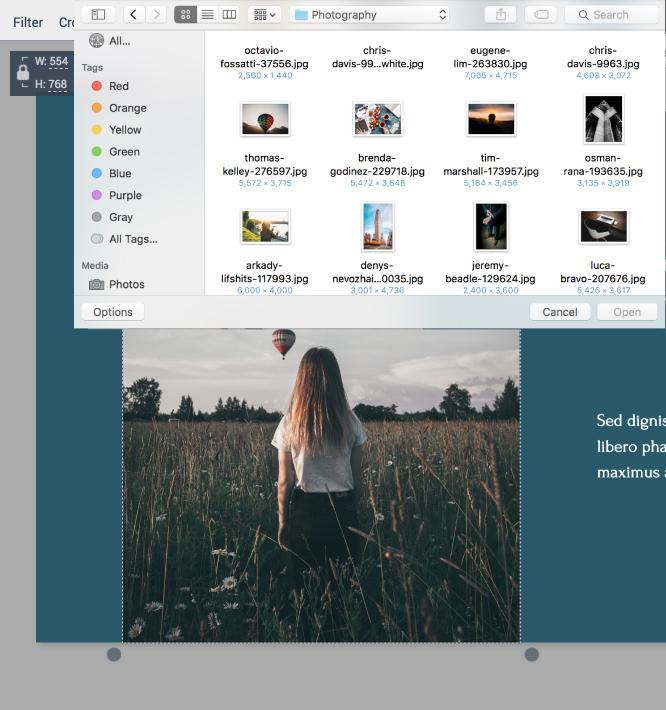 Simply drag and drop your image from your local drive (PC or MAC) directly onto your Visme workspace. 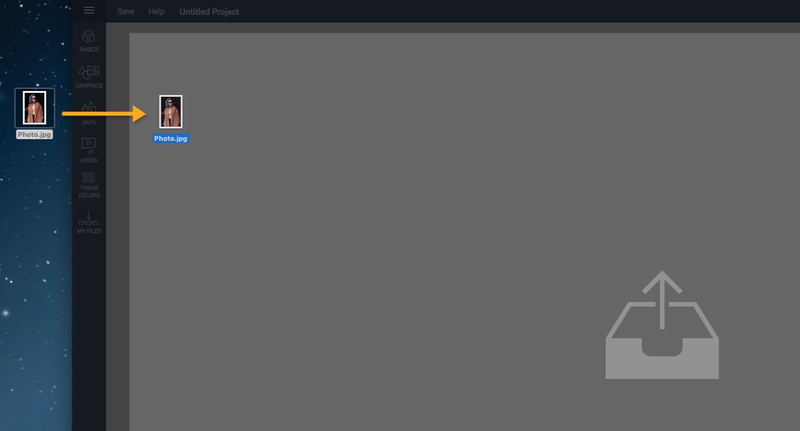 This will automatically upload the asset to your project area and store it in your My Library for future access in other projects or slides. Upload images using the Images Menu. Go to Graphics from the left panel. You then hover your mouse over to the Photos tab. Then you click on Upload Image. A pop up will open allowing you select and insert your desired image. 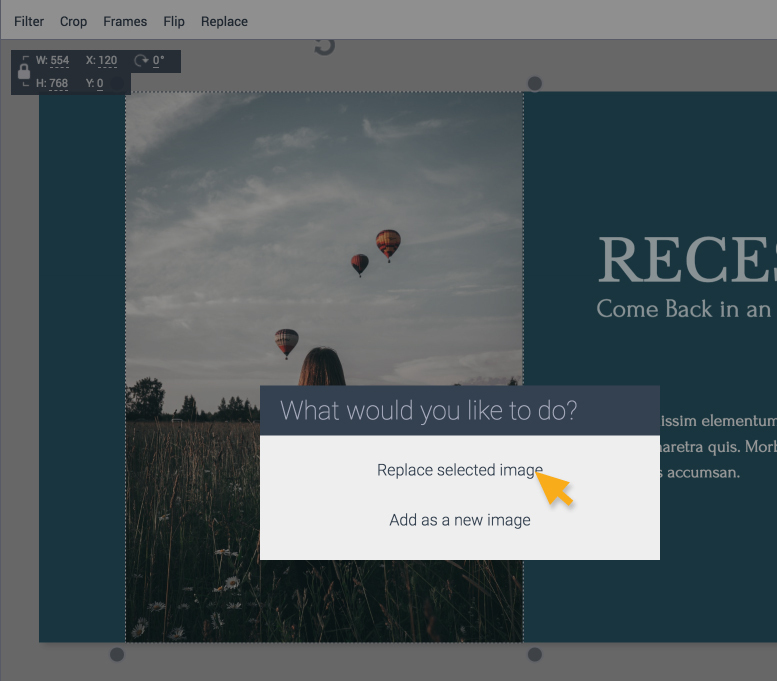 If you need to replace an original image, simply double click on the image, a pop up will open allowing you replace the image. 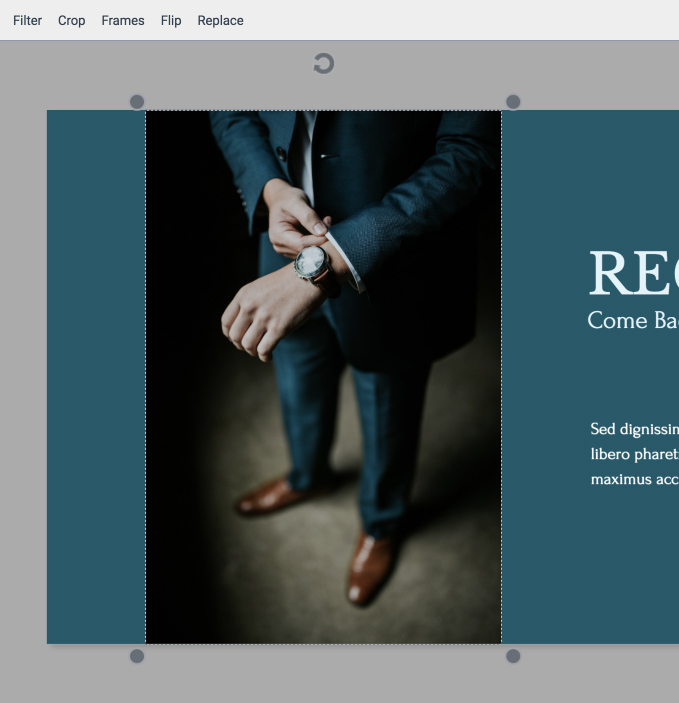 Once you have selected an image that you want to open, a pop up will show up asking if you want to replace the selected image or add as a new image. By clicking on Replace selected image, the new image will adjust to the similar size of your original image. To see the images you have already uploaded, you can click on My Library in the Graphic from the left panel. If you want to insert a specific image to your Visme project, click on the image. Or, go to My Files on the left side of the panel to view your images. 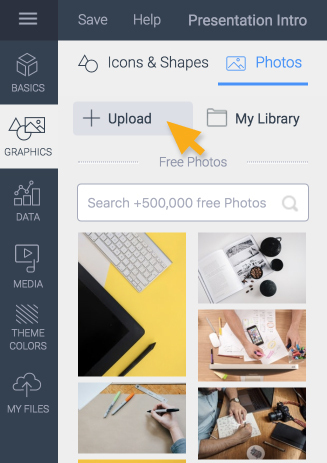 Use Add Media to upload images. – Your image will be uploaded, and will be stored in My library. 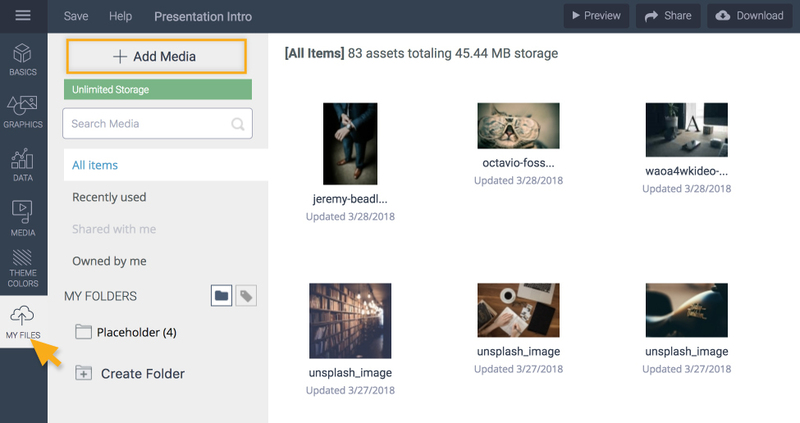 – To improve your ability to manage image assets, use the Media Manager in My Files. 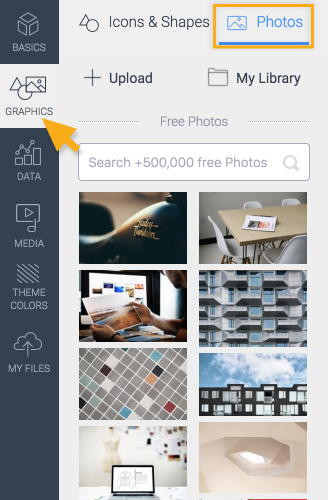 – You can also crop image in Visme. 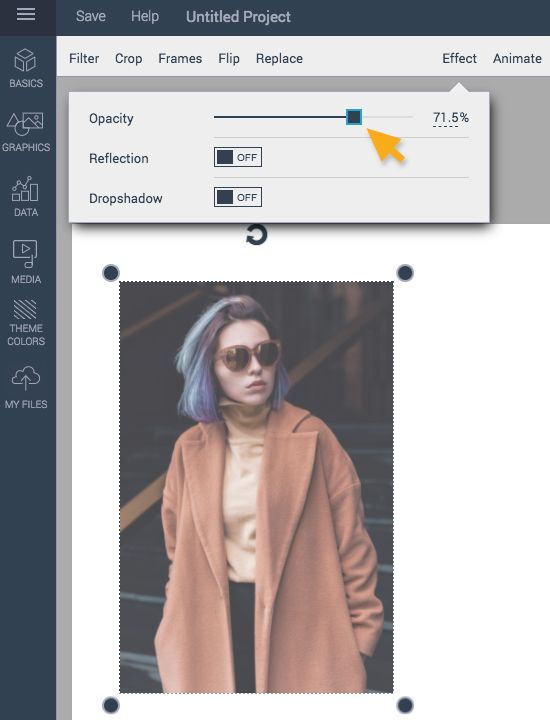 This will allow you to select a specific area of your image and achieve the size and proportion desired without having to rely on a third party program to achieve it. Learn more here.